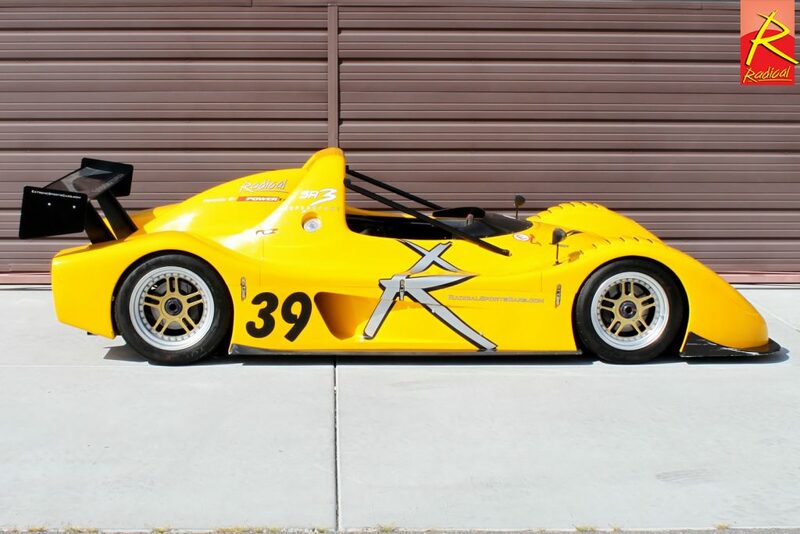 One of the most common question I get is, “What should I look for when buying a Radical SR3”? The short answer is that ALL SR3s provide an amazing amount of performance and a track experience that causes smiles that are very hard to remove. However, there have been significant improvements to the cars since they were originally released in 2002 that affect the performance, maintainability, and value of the cars. 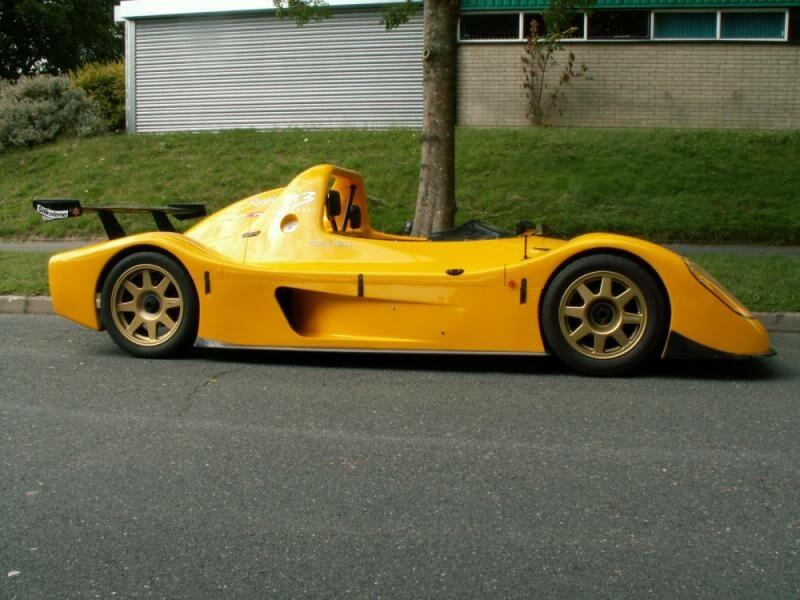 It is important to know that buying race cars is very different from buying street cars. With street cars the model year is very important because there are often considerable changes and upgrades every year. Race cars are a different story because they often remain the same for multiple years, and the changes may not coincide with production years. 1) Buy the newest car with the lowest chassis and engine hours that you can afford. 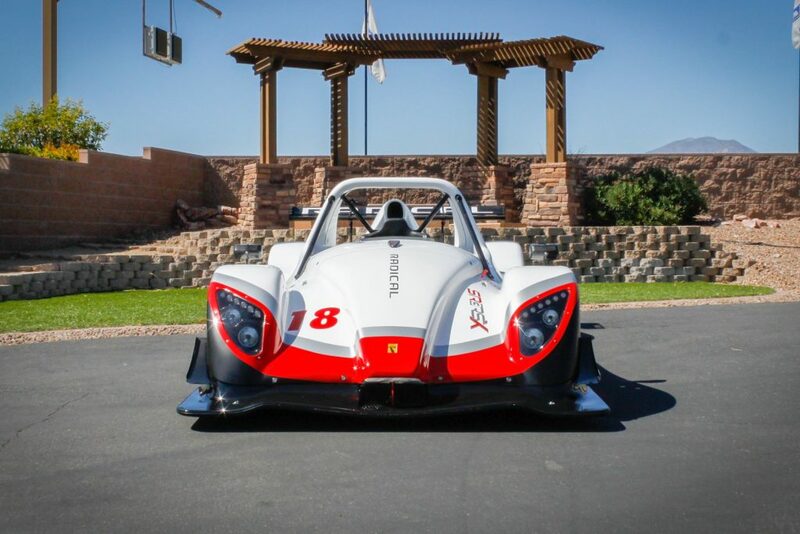 2) Learn about the how the SR3s evolved over the years and how the major developments affect the performance, maintainability and value of the car. It is also important to know when these developments were implemented. 3) Learn what options were available when the car was built so that you can get the options that are important to you. 4) Find out how the car was used and maintained? Check the maintenance history on the car. Race cars require consistent maintenance and a car that has been driven hard or one that has deferred maintenance can add a lot to your total ownership cost. 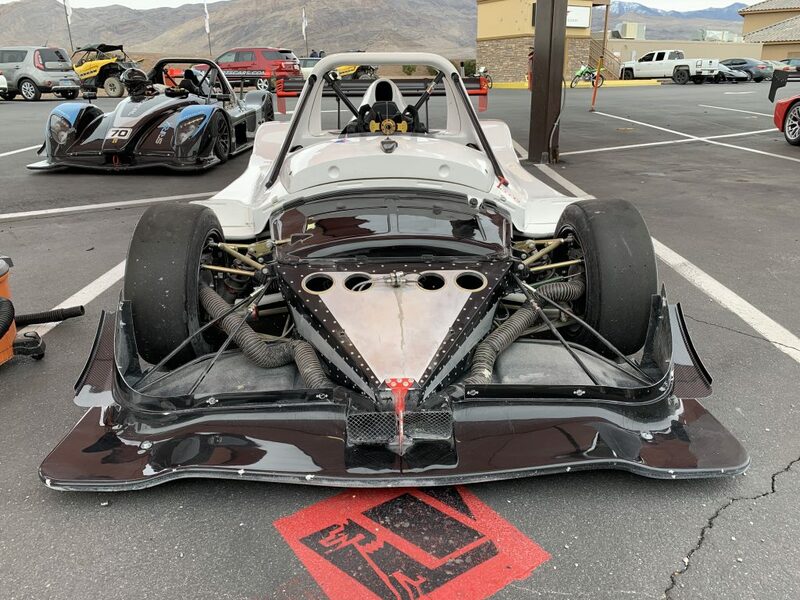 Sometimes a one-year old car that has been competitively raced can be in worse shape than a 5 year old car that has only been used for track days. And sometimes you can find that a lightly used car can have deferred maintenance. With proper maintenance all SR3s, even a heavily used car, can be reliable and fast. In short, it is worth paying a premium for a car that has been properly maintained and has a documented maintenance history. 5) Research the history of the cars you are considering. 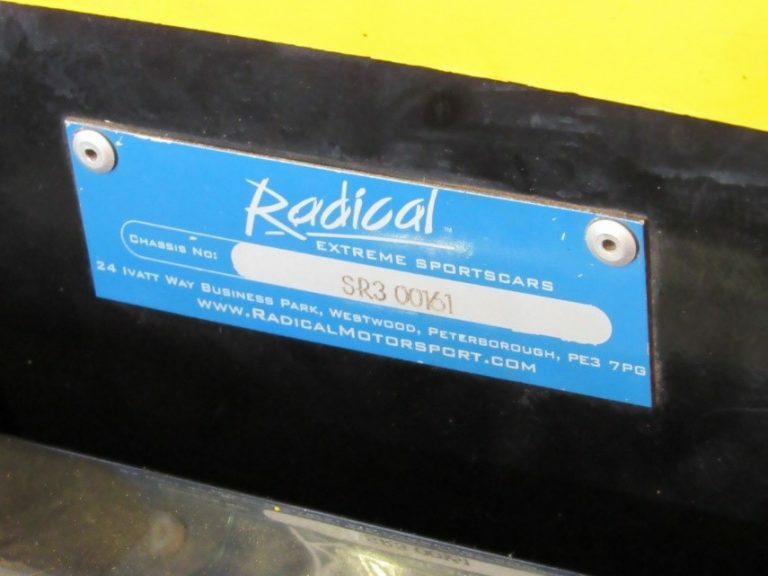 All Radicals have Chassis Serial Number plates that are used to uniquely identify each car. It is located on the center of the firewall behind the seats. It is important to research any car you are considering buying because race cars don’t have government Registration or other official documents that are required to stay with the car when it is sold, so it is very common for the details of a car, such as year of production and vehicle history to get clouded over time. 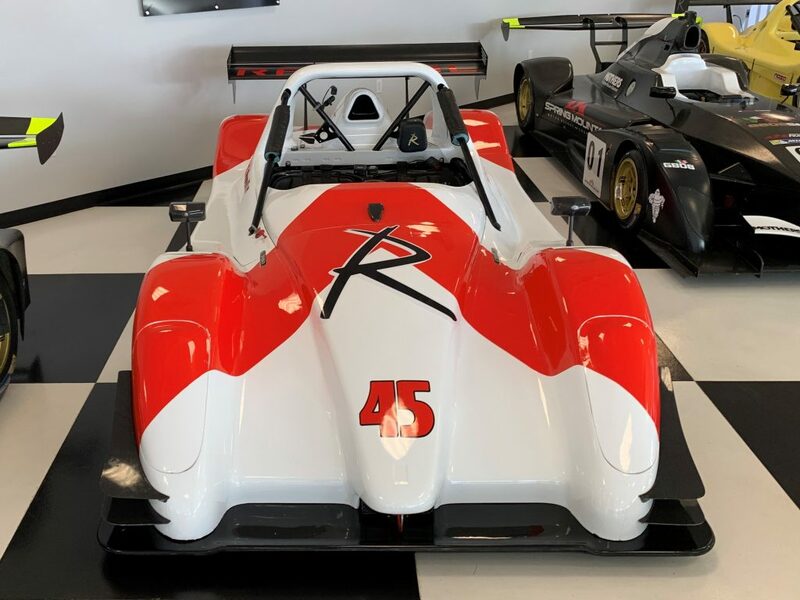 It is a good practice to look up the Chassis Serial number of the car you are considering in the Radical Sportscar Registry (www.RadicalSportscarRegistry.com) to see what historical information is available on the car. It is fairly common for cars to be advertised for sale with manufacture dates up to 5 years or more from when the car was actually produced. 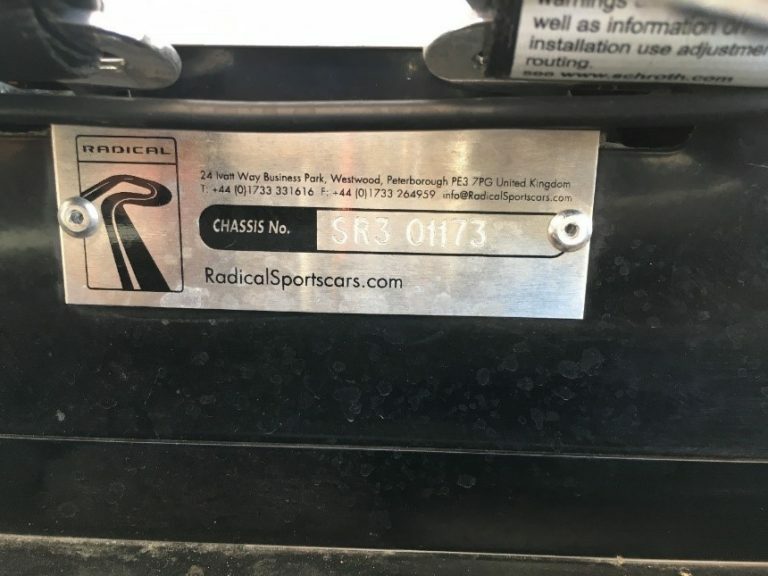 There was recently an extreme case of this where a car was advertised as 2014, but according to the Chassis number and history found in the Radical Registry it was abundantly clear that the car was produced in 2004. That doesn’t mean that it is a bad car, it just points out the importance of understanding what you are looking at before you make an offer. Fuel injection vs. Carburation – Fuel injection was an option on the first-generation cars (2002 – 2008) and became standard on the second-generation cars (SR3 RS 2009 – 2014) and third generation cars (SR3 RSX 2015 +). The fuel injected cars tend to be more reliable and have reduce maintenance compared to the carbureted cars. Lubrication systems – The first-generation cars could be ordered with a “wet sump” or a “dry sump” lubrication system. The dry sump does a superior job lubricating the engine and is recommended. All second generation (RS) and third generation (RSX) cars have dry sump lubrication systems. Engine Control Units (ECU) – Another major improvement was the implementation of the Life Racing ECU from chassis number 464 (Built in June 2009) onward. The Life Racing ECU incorporates an engine data logging system that enables the downloading of extensive amounts of engine data for review and trouble shooting. This data file can also be emailed to Radical / Powertec so they can remotely troubleshoot and help resolve issues. 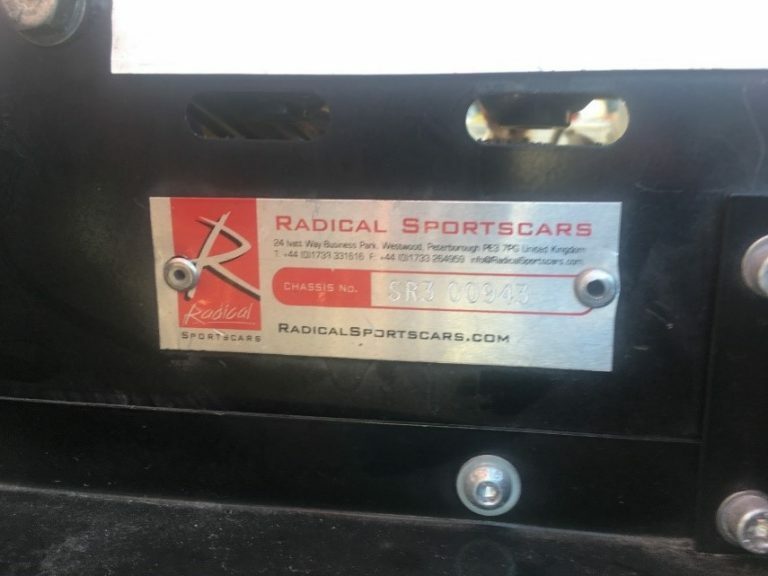 For more detailed information on how to use the Life Racing ECU you can look at the “Radical Sportscars Data Analysis manual” that can be found at https://radicalsportscarregistry.com/data-manual/. Aerodynamics – is another area that has greatly benefitted from continuing development. The first generation cars could be ordered with a Standard downforce configuration or a “high downforce option”. In 2009 (RS) and again in 2015 (RSX) there were significant improvements to aerodynamics which I will explain when we discuss the three generations of SR3s. Also, for many model years there were rear wing options that improved downforce. 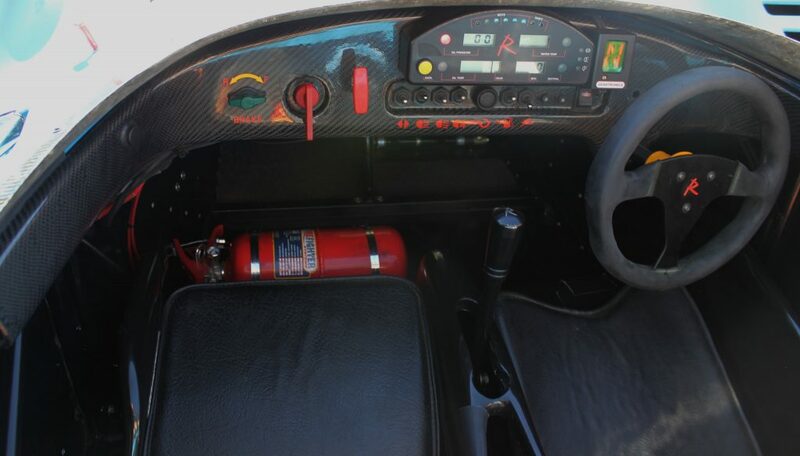 Paddle shifting – From 2002 through 2014 the SR3 came equipped with a sequential gearbox that was operated by moving a shifting lever on the floor forward and backward (often referred to as a “Snicker” shifter). During much of that time an optional paddle shifting system, that had auto-blipping for downshifts, was available as an option. From 2015 onward, the paddle shifting system became standard on all cars. The paddle shifting systems improved through continued development over time and the later systems (SR3 RS and later cars with the Life ECU) are simply incredible and are a highly recommended option. It is also worth noting that in the cars that have Life Racing ECU’s there are two types of paddle shift systems. 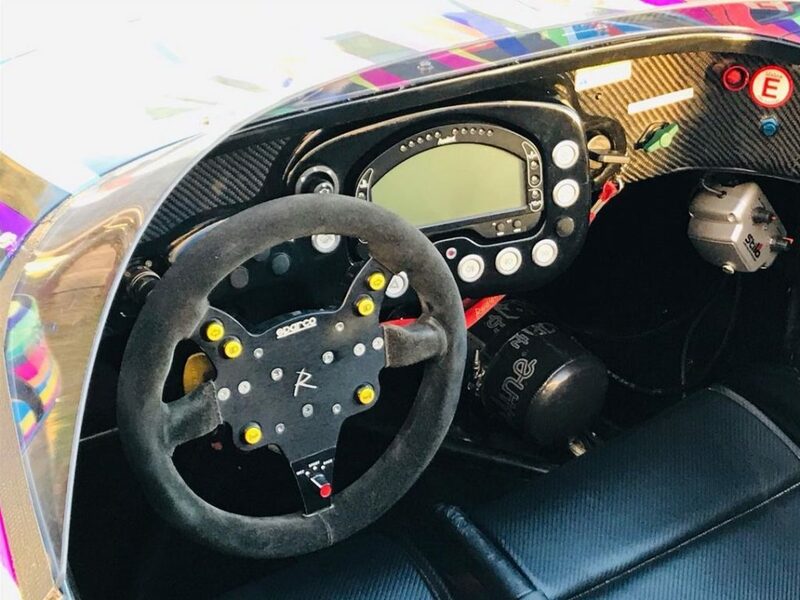 If the paddle shift system was added after the car left the factory it will have a shifting module (the brains of the system) that is separate from the ECU. And if the car came equipped with paddle shifting from the factory the shifting model will be integrated into the Life ECU. Both systems are excellent, however, the integrated system has added safety features that prevent the car from performing a shift that could damage the engine. Also, there is more shifting data collected in the ECU. There are also some options available that enhance the driving / ownership experience. Selection of options is a highly individual choice, but I will outline some of the options that are popular. One of the options that is very helpful is the Air jack system. These cars have less than 2” of ground clearance so specialty jacks are required to lift the car. Air jacks are a convenient method for quickly and easily raising the car to do inspections at the track or to change wheels. The only downside of the air jacks is their high initial cost and slight addition to weight. Another helpful option is the Race Lighting set (Headlights). Their primary benefit is that they make you more visible to the other cars on track which is very helpful if you are driving in mixed classes with larger cars. They are also mandatory if you drive on tracks like Laguna Seca that often have bouts of fog. The Intrax triple adjustable dampers (Shock absorbers) are also a great addition because they improve performance and tend to be more robust than the standard dampers. The 280mm floating disk brake are another great performance upgrade found on most of the fastest Gen 1 and 2 cars, and they are standard equipment on the Gen 3 (RSX) cars. 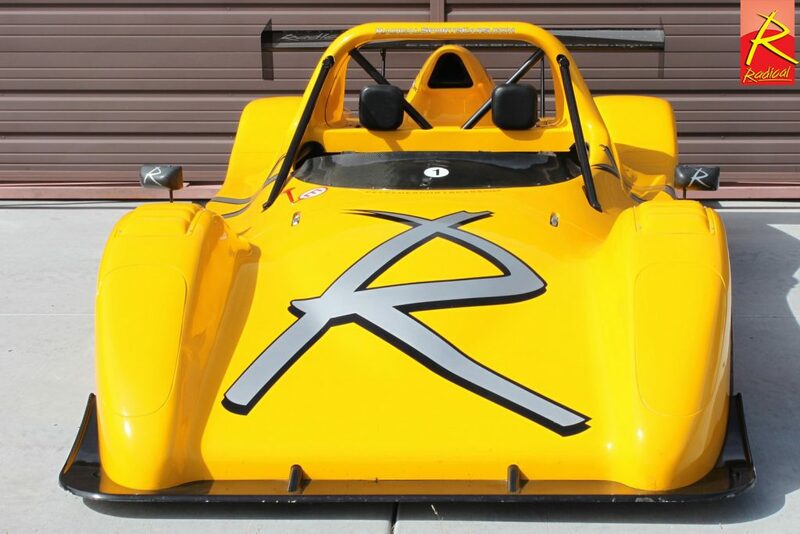 Here is a little history on how Radical has evolved the SR3. The SR is a reference to “Sports Racer”. There have been 3 generations of the SR3. The Generation 1 cars were produced from 2002 through 2008 and were available in three models: the Supersport, Tracksport, and LM. The Generation 2 cars were known as the SR3 RS and were produced from 2009 through 2014. The Generation 2 cars started at Chassis number 400 and ended at 930. The Generation 3 cars, known as the SR3 RSX, began production in 2015 and are still produced today. There have been over 1200 SR3s produced across the three generations… so far: 400 Generation 1 cars, 530 Generation 2 cars, and ~270+ Generation 3 cars. 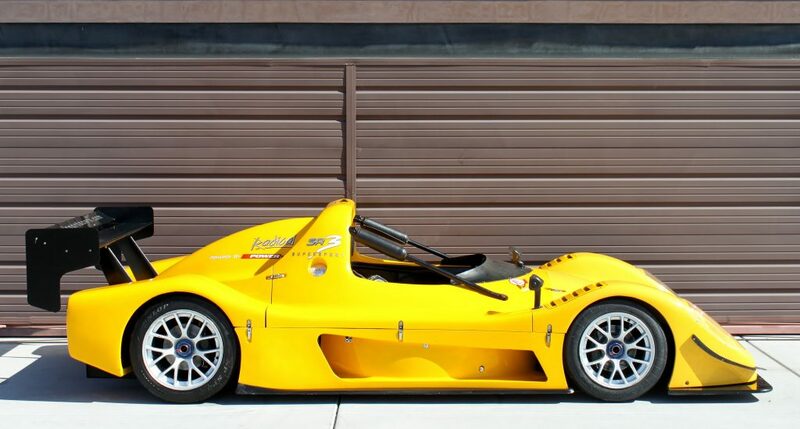 The first generation SR3 was launched in Barcelona Spain in 2001 and was a major step forward from Radical’s earlier models, the Clubsport and Prosport. 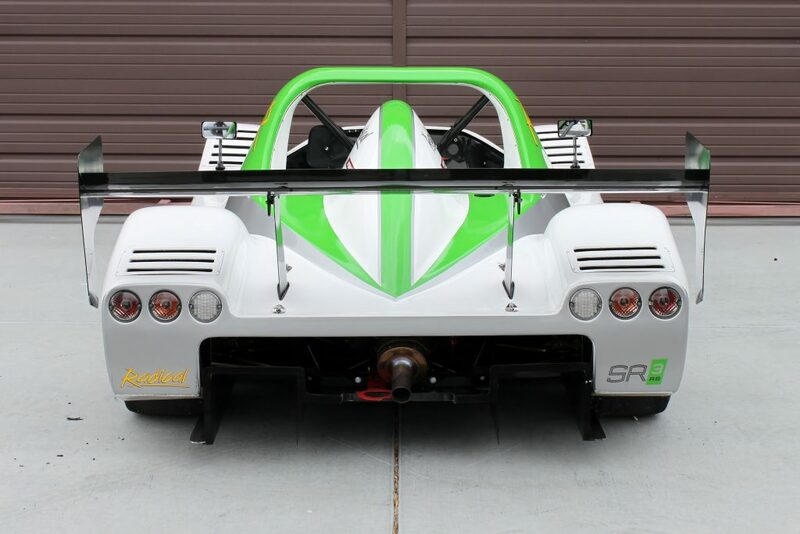 The first generation SR3 is a lightweight / high downforce / two seat sportscar that is powered by Suzuki Hayabusa or Kawasaki 1100 engines modified by Radical Performance Engines / Powertec, Radical’s in-house Engine department that modifies the engines to be able to handle the added stresses from automotive use. 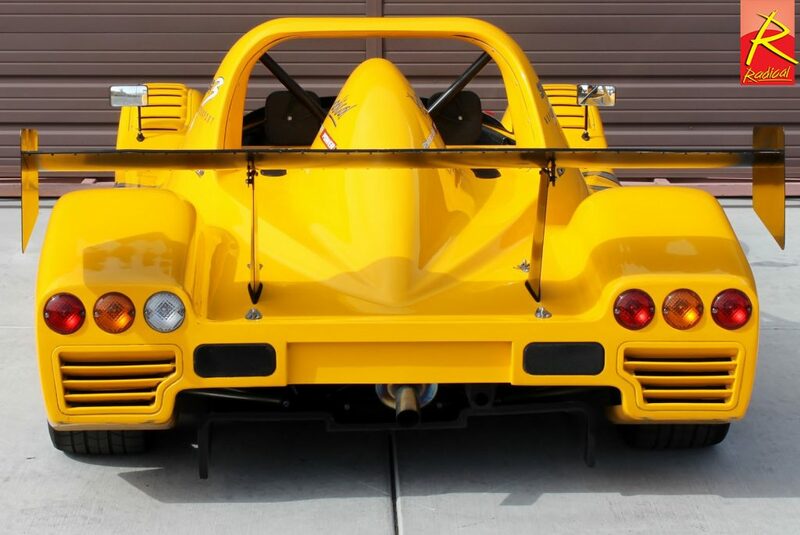 The SR3 had greatly improved aerodynamics compared to the earlier models and could be ordered in a Standard downforce configuration that had a front splitter that was mounted directly to the fiberglass bodywork of the car and a single plane rear wing. Or it could be ordered with a “high downforce option” that included a front splitter that was mounted to the chassis (with an integrated diffuser to generate additional downforce), improved side pods, and an improved rear diffuser. 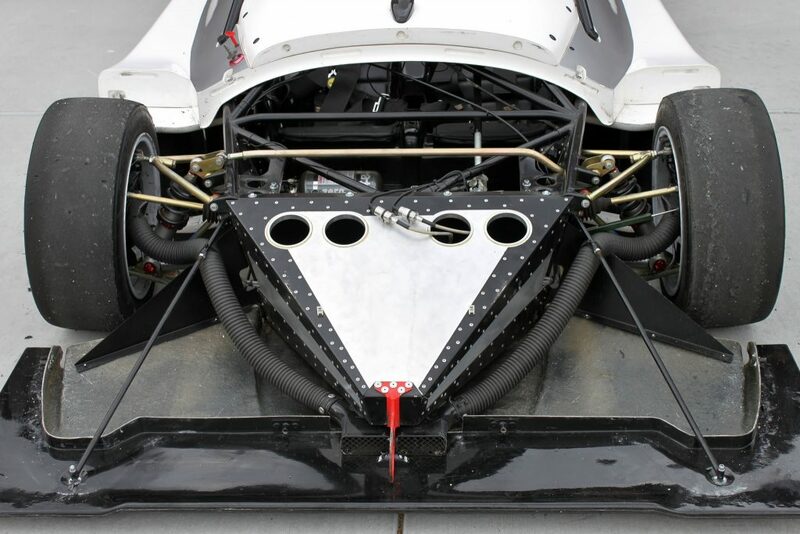 In addition to the added downforce the High Downforce front splitter was structurally stronger than the standard downforce models and resisted damage from “off track excursions” better. 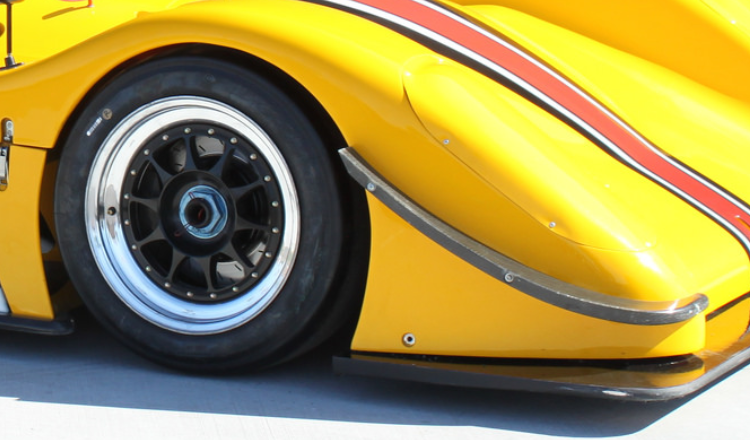 Because the front splitter in the standard downforce design was attached to the front bodywork, “off track excursions” often caused damage to the bodywork of the nose. The SR3 was also Radical’s first use of their bespoke Quaife limited slip differential that replaced the chain drive on the Clubsport and Prosport models. The Quaife differential has the benefits of reducing maintenance, adds a reverse gear, gives the ability to rapidly make gear ratio changes, and it keeps all of the cars weight between the front and rear axles which is part of why they handle so well. 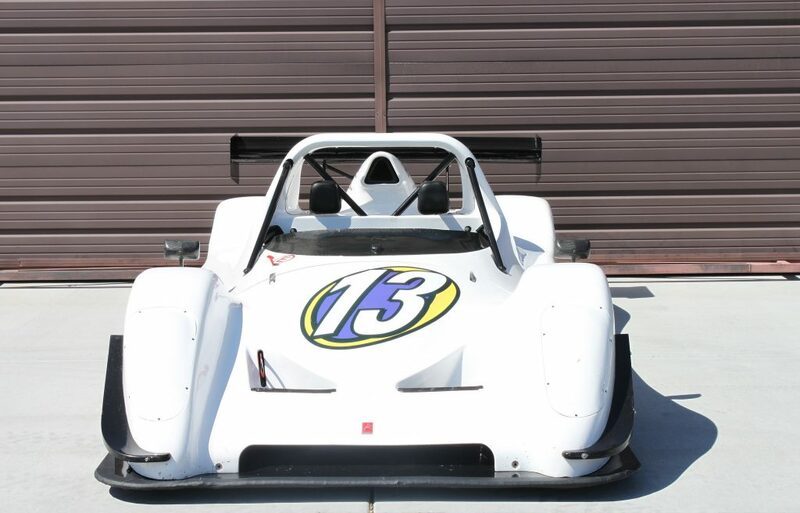 The first generation SR3 was available in “Tracksport”, “Superport”, and “ LM” models. 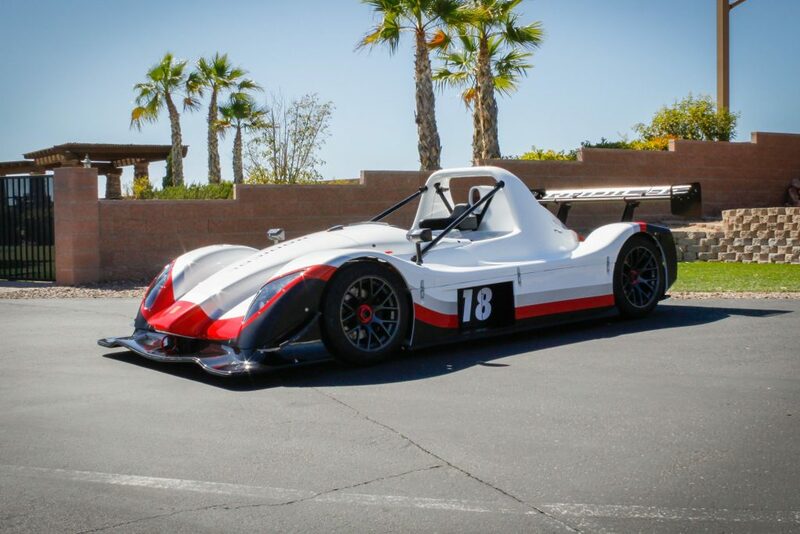 The Tracksport was designed for the enthusiast that wants a high-performance car to bring to “Track Days” and High-Performance Driving Events (HPDEs). The Supersport was an upgrade to the Tracksport and had standard and optional features that were focused on Racing applications, such as higher horsepower engine options, racing fuel cell, additional roll cage structure, Fire extinguishers, lower ground clearance, and an optional high downforce package that included a chassis mounted front splitter with integral diffusers, side skirts, an improved rear diffuser, and a bi-plane rear wing. There was also an optional Nose section available that incorporated an additional radiator for added cooling capacity. This nose was originally developed for the SR3’s with the optional Turbo charged engines, but found its way onto standard cars and also the first generation SR8’s. 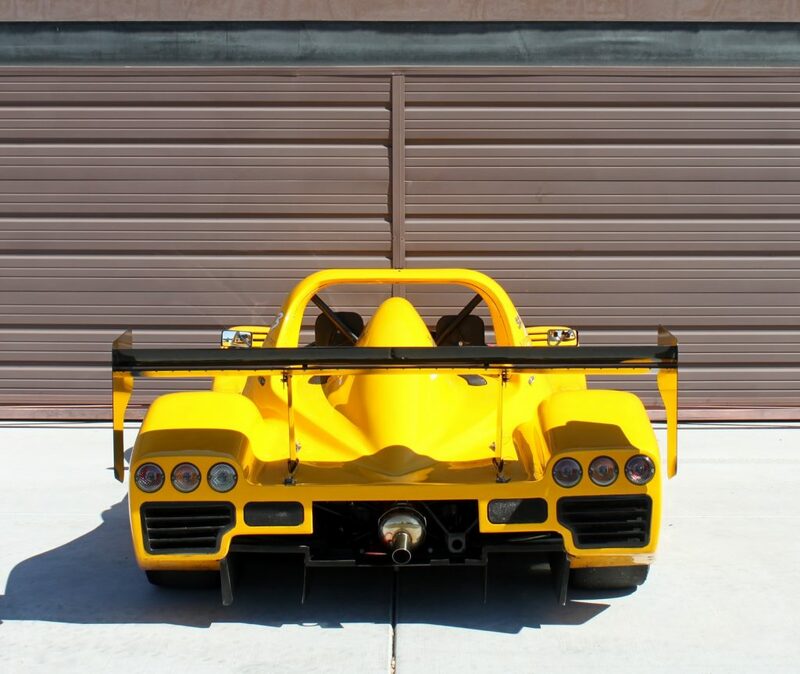 The SR3 Tracksport and Supersport could be ordered with a Single Vehicle Approval (SVA) kit which transformed the car into a road legal car (in the UK) known as the SR3-LM. The SVA kit included road legal lighting, a fuel injection management system, hand brake system, horn, silencer with catalytic converter, mirrors and reflectors. The Tracksport had three standard engine options available: 1) The standard engine in the early Tracksports was a Powertec / Kawasaki 1100, with CV carburetors, that was rated at 165bhp. 2) The optional engines started with a carbureted Powertec Suzuki 1300cc rated at 205bhp. 3) Also available was a low compression version of the carbureted Powertec Suzuki 1500cc that was rated at 230bhp. 4) Fuel injection could be added as an option for the 1300cc and 1500cc engines. The Supersport also had three standard engine options available: 1) The standard engine in the early Supersports was the Powertec / Kawasaki 1100, with flat-slide carburetors, that was rated at 185bhp. 2) The optional engines started with the same carbureted version of the Powertec Suzuki 1300cc engine rated at 205bhp that was available in the Tracksport. 3) There was also a high compression version of the carbureted Powertec Suzuki 1500cc rated at 252bhp available. Note that the Kawasaki engines were only available for the first few years of production due to the popularity and superiority of the Suzuki Hayabusa based engines. Powertec also produced 1400cc, 1585cc, and Turbocharged versions of the Hayabusa engines that were available as Special-order options. Supersport – The Supersport model has more desirable options available, improved safety and better track performance than the Tracksport. Suzuki Hayabusa engine – The Suzuki engine provides superior performance to the Kawasaki engines. Fuel injection – Improves reliability, performance, and reduces maintenance. Intrax triple adjustable dampers – Have proven to be the most robust damper option. The splitter on the standard downforce cars were attached to the nose section of the body and not to the chassis like on the High downforce cars. Also, the Standard downforce cars had front brake cooling ducts that pulled air from under the splitter and on the high downforce cars the front brake ducts are relocated to the front of the nose. The visual difference from the front of the car include relocation of the brake ducts from the bottom of the splitter to the front. The addition of dive planes to the nose of the car helped increase downforce. Note, that the dive planes show on this car are from a Gen 2 car. 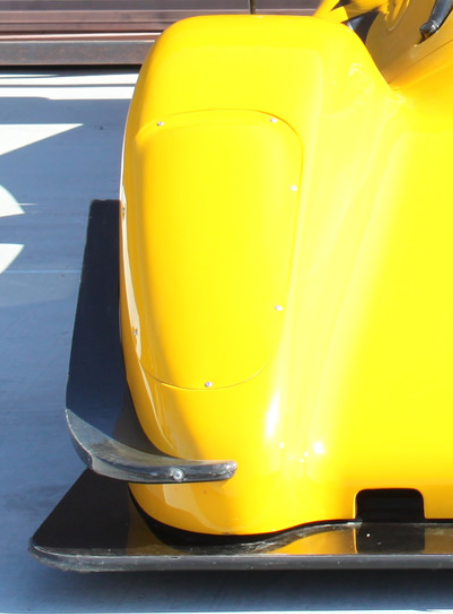 The tray on the front of the Standard downforce cars supports the nose bodywork, however the aerodynamic splitter is attached to the nose of the car and not the chassis. 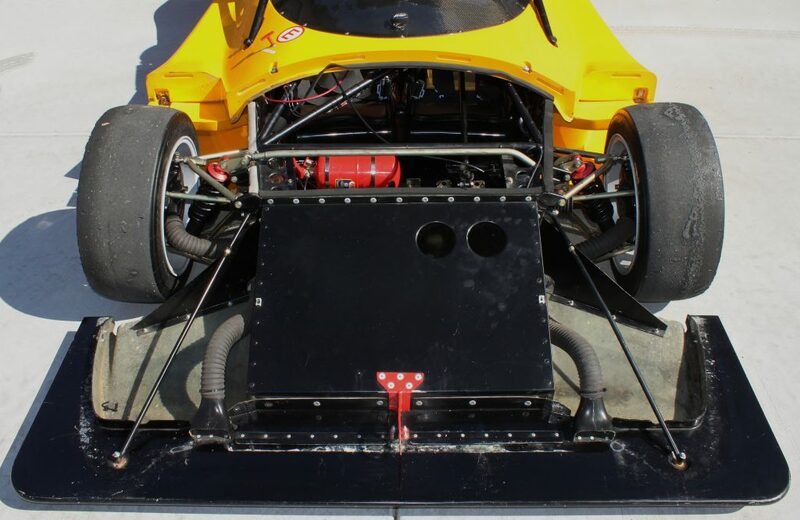 The high downforce cars have a chassis mounted splitter that incorporate diffusers (raised section near the back of the splitter) which increased downforce. An added benefit of having the splitter attached to the chassis is that it is more robust when the car has an “off course excursion”. In this side view you can see that the Tracksport-LM has higher ground clearance, no forward-facing roll bar stays, Standard downforce front side pods and front splitter, no rear diffuser, and a less aggressive rear wing. Came with a Bi-plane rear wing and higher downforce rear diffuser. 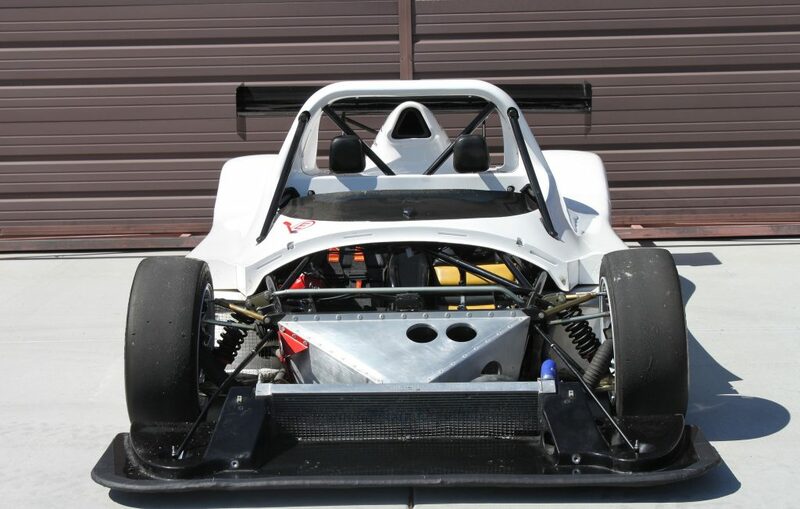 In this view you can see that the car is equipped with road legal tires and exhaust, and there is no rear diffuser. 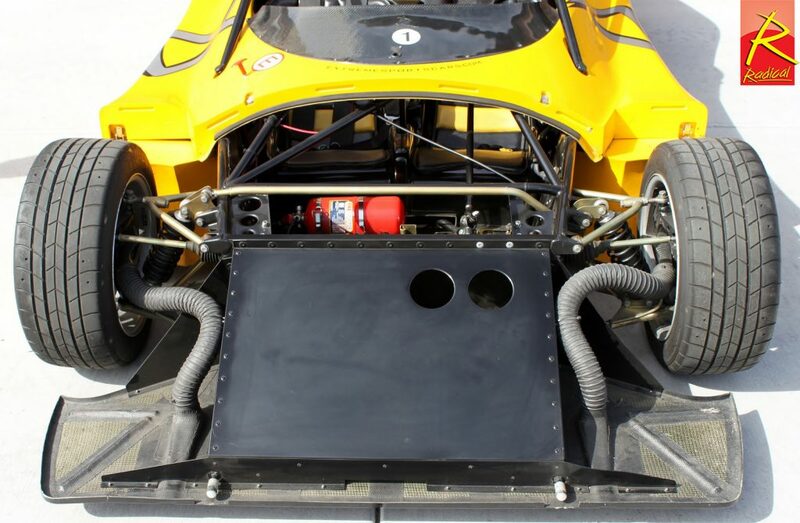 Incorporated an additional radiator in the nose of the car to provide additional cooling capacity. 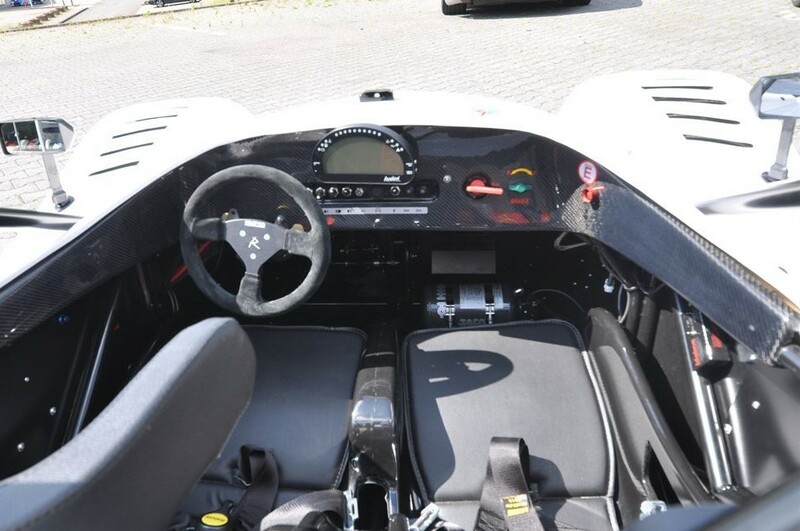 The First Generation SR3s utilized a bespoke Radical Dash that displayed Oil and water temperatures, Oil pressure, Gear selected, speed, and RPM indicating lights. An Optional dash made by Stack was available on some first generation and early second-generation cars that had a large analog tachometer and some data logging capability. 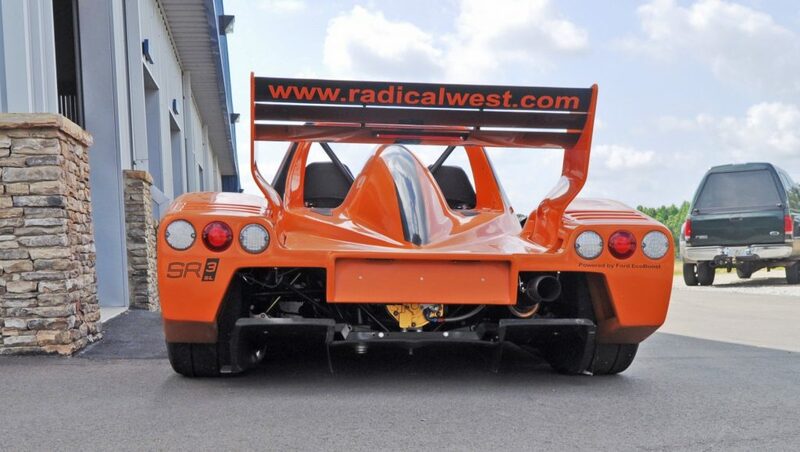 For the second generation SR3 Radical offered two models to simplify the ordering and production process. These cars were equipped with more standard features and offered an ample list of options. The SR3 RS was intended for tack use, and the SR3 SL was developed for road and track use. SR3 RS was introduced at the Autosport International show in January 2009. The new “RS” model was named after the UK’s Rockingham Speedway where the SR3 won its first race. The SR3 RS had extensive upgrades from the first-generation cars and provided more standard features. 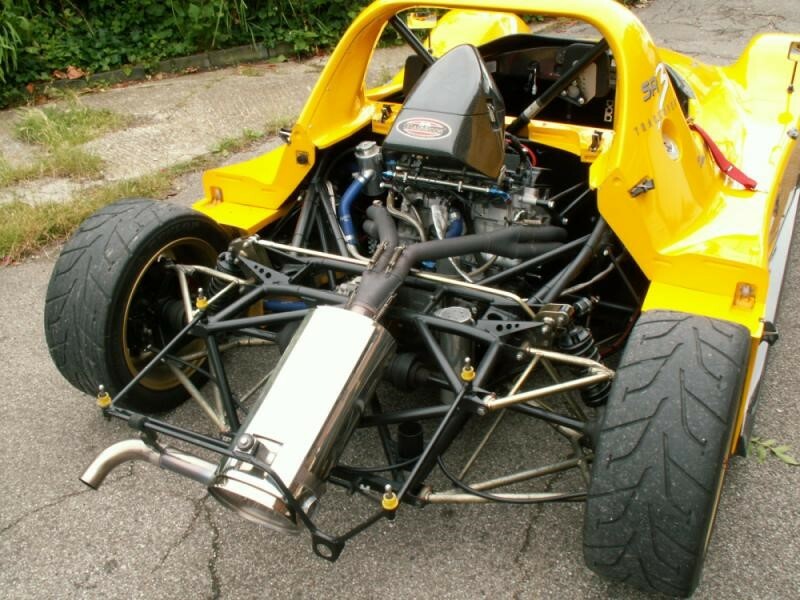 The engines were the new K8 version of the Hayabusa that had more power and came with fuel injection, dry sump lubrication systems and a significantly improved Engine Control Unit (ECU). 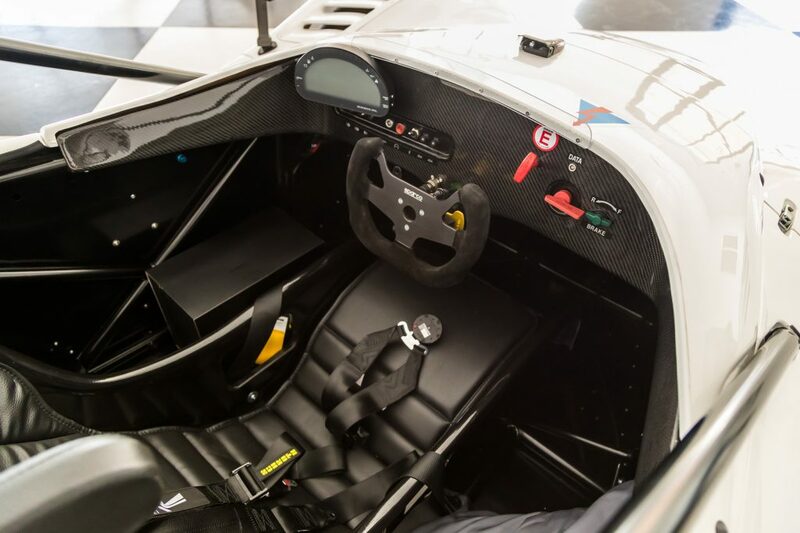 The Chassis was stiffer with added FIA compliant crash structures, and it received new aerodynamics derived from the SR9’s that competed at Le Mans in the LMP2 category. The new aero package had major improvements which include a new high nose design, re-profiled front and rear diffusers, all new sidepods, a new cooling system, and a re-profiled rear wing (first used on the SR5 and 8 in 2008). The engine is a Powertec refined version of the newly released Suzuki Hayabusa K8 Engine which benefits from a longer stroke, improved combustion chambers / cylinder heads, titanium valves, more refined camshafts, and improved Life Engine Control Unit (ECU) (Note: Life ECUs that were integrated with the Paddle shifting system were implemented at chassis 464, although some earlier cars had a non-integrated version of the Life ECU). The result is an increase of ~10hp over the generation 1 cars. The SR3 RS is typically equipped with either a 1340cc (210bhp) or 1500cc (260bhp) engine, however 1440cc or 1585cc could also be ordered. 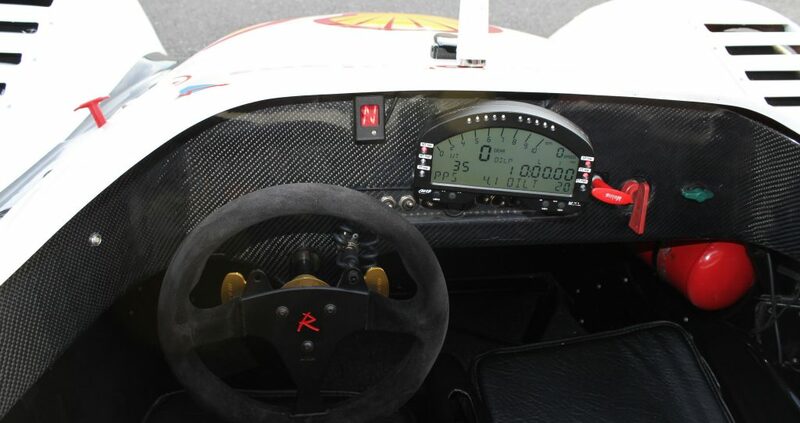 In the cockpit the “Radical Dash” from the Generation 1 cars which showed speed, RPM and key temperatures / pressures was upgraded to an AIM Pista dash which provides improved data display and Performance data logging capabilities. Additionally, an AiM Smarty cam can be integrated with the dash to produces video that automatically overlays the track map and user selectable performance and engine parameters into the video. From a maintenance standpoint the new Life ECU is a big improvement over the MBE units used in the first generation cars. The new ECU collects and records numerous engine parameters and a laptop computer can be plugged into the car to download the data from the ECU. Additionally, these data files can be emailed to Powertec for troubleshooting. Around July of 2011 the cars were modified to meet the latest FIA safety regulations. These cars are known as: “High hoop” or “High roll bar” cars because the most noticeable change is that the rear and front (in the dash area) roll hoops were raised several inches. The change happened somewhere between chassis 583 (known low hoop car built in March 2011) and 587 (known high hoop car) and there was a short transition period where a small number of cars had a low rear hoop and a high front hoop prior to both hoops being raised. You can read more about the SR3 RS in this link to the Sales brochure and Order sheet. Life ECU – The Life ECU was implemented in June 2009 on chassis number 464. 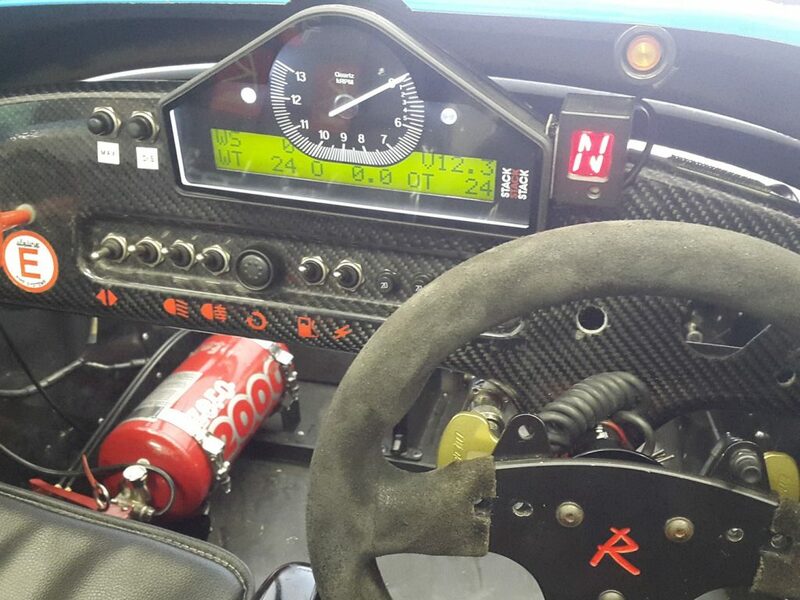 Paddle shifting – There are several versions of the paddle shifting system available on the RS cars. The best system is the Life paddle shift system that is fully integrated into the Life ECU. Because the shifting system and the ECU are integrated it has safety features built in that prevent the car from being shifted when a shift could damage the engine. This system is found on chassis starting at 464 that came from the factory with the paddle shifting option. Cars prior to 764, and cars that had paddle shifting added after delivery can have a version of the Life paddle shifting system that is not integrated into the ECU, or a system made by GearTronics. Both of these are excellent systems, but lack the added safety features. Fuel cell – Provides greater safety than the standard aluminum tank, and is required by nearly every racing organization. Brake pressure logging – Enables brake pressure logging to the AIM data system. Le Mans style rear view mirrors – There is no performance advantage, but they just look cool. The SR3 RS has revised aerodynamics that incorporated a raised nose design. This is an example of a Low hoop car which were produced from 2009 through early 2011. High hoop cars had the rear (over the drivers head) and front (in the dash area) raised ~3.5” to meet revised FiA safety standards in 2011. The SR3 RS has revised sidepods to improve aerodynamics and increase downforce. They also held an improved cooling system. 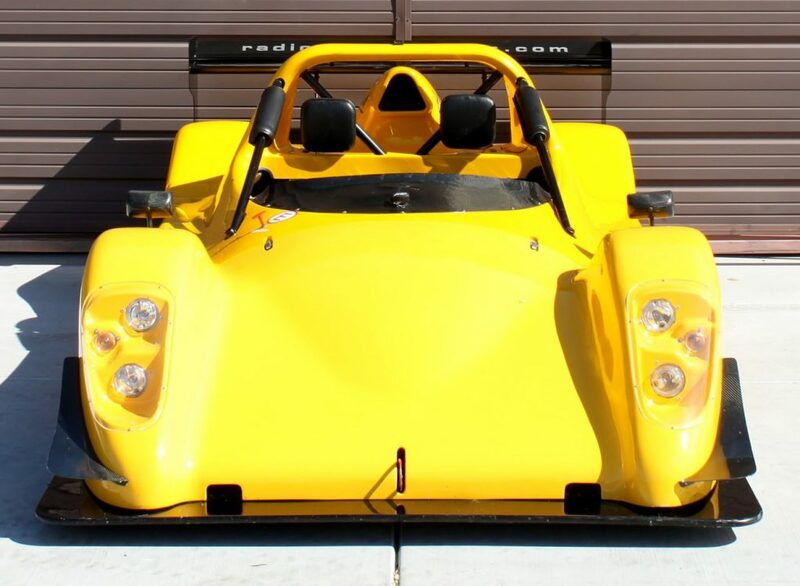 The SR3 SL was designed to be a street legal version of the SR3. 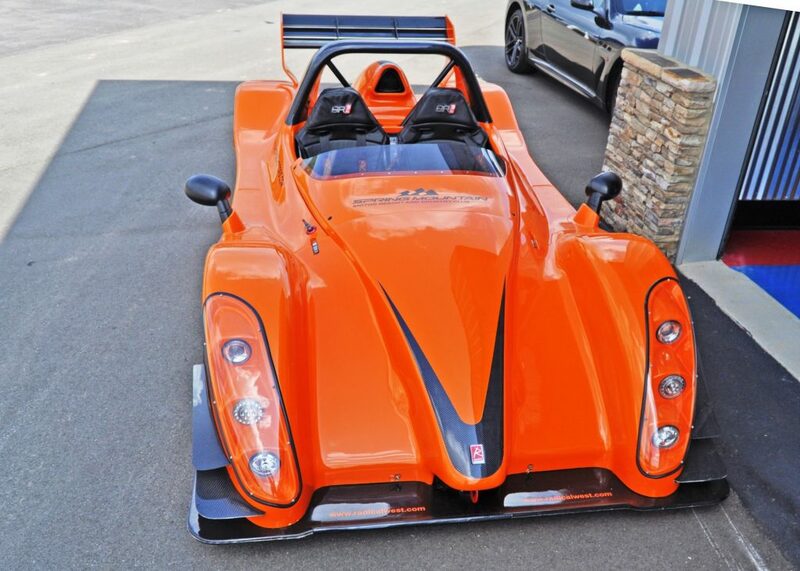 Although the SR3 LM (Gen 1) and the RS (Gen 2) can be made street legal in the UK by adding the Single Vehicle Approval (SVA) kit, the SR3SL was designed from the beginning to be a road legal sportscar and received European Small series Type Approval, which allows it to be registered for street use in many European countries. 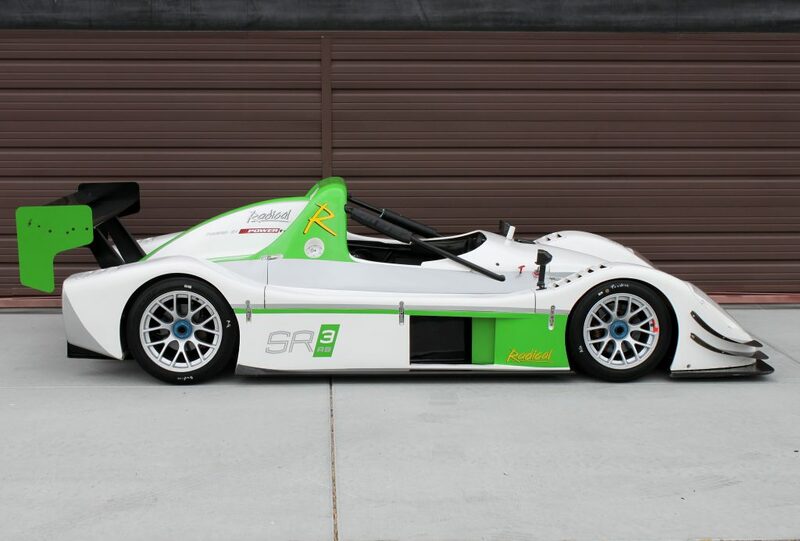 The SR3 SL was introduced in early 2011, at the Autosport International Show in Birmingham, England, and made its public debut at the Frankfurt motor show in September. The car is based on the SR3RS, but it is designed to spend more time on the road. It has higher seat backs, a revised rear spoiler that is less likely to grab unsuspecting pedestrians, more ground clearance, and the controls for lights, blinkers etc. are relocated to be easier to access by the driver. It even has a heater. The power comes from a Powertec tuned Ford EcoBoost turbocharged four cylinder engine with direct injection and a six speed paddle shifted sequential gearbox that produces 300bhp and is capable of propelling the car from 0 to 60 mph in just 3 seconds, with a top seed of 165 MPH. 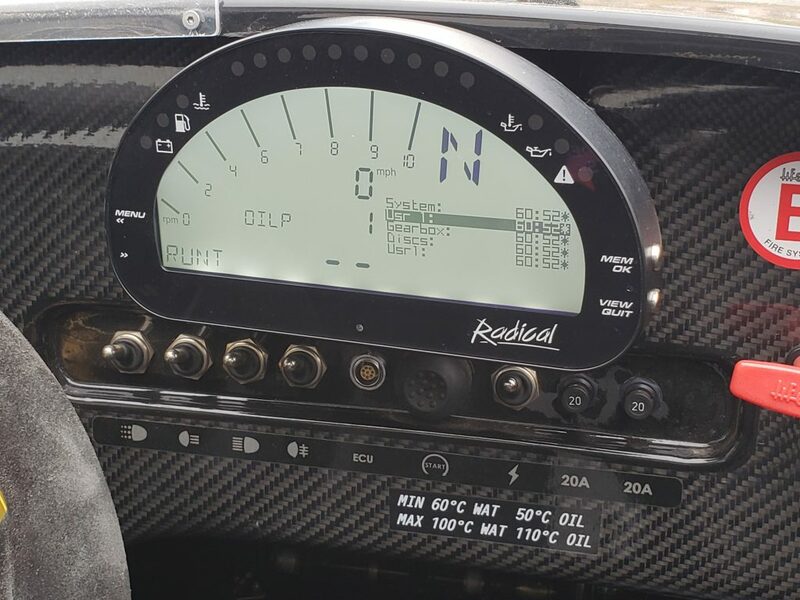 A Race Pack option was also available that came with added features, including driver selectable engine calibration maps that provide ‘road’, ‘wet’, and ‘racetrack’ suitable maps, a racing bi-plane rear wing, racing tire options, and an FIA-approved fuel cell. 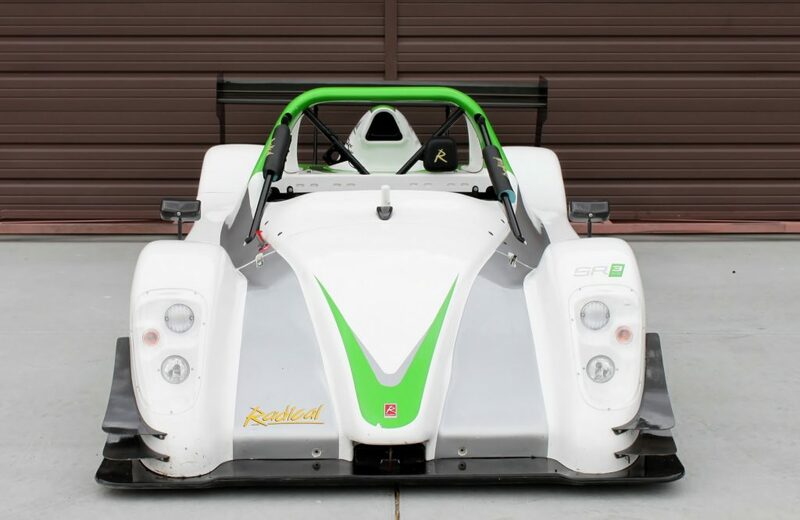 In October of 2014 Radical introduced the 2015 Gen 3 SR3 RSX at the Circuit de Barcelona, Spain. The chassis of the SR3 RSX is largely unchanged from the Gen 2 SR3 RS, but the car has dramatic new styling and improved aerodynamics derived from the latest generation LMP cars which enhances the car’s already impressive performance. Advanced Computational Fluid Dynamics (CFD) modeling was used to develop the redesigned front diffuser that features a “double-tunnel” profile from leading edge to the rear where it integrates into the wheel arch leading edges for improved airflow. 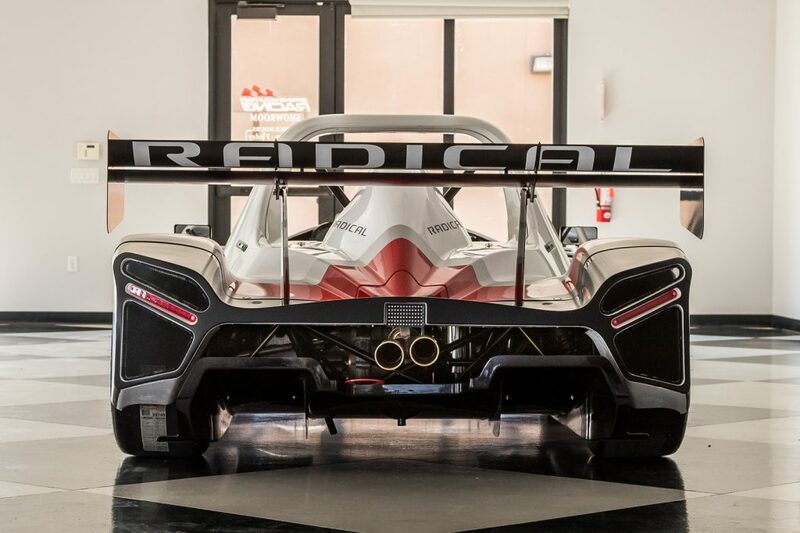 The rear diffuser profile has also been greatly revised leveraging experience gained from the RXC development program and features a lower deck angle to improve ‘ground effect’ aerodynamic grip. The RSX has expanded the list of standard features that were options in the past, including: Fully-floating 280mm front and rear ventilated brakes, 24v charging system, and pneumatic paddle activated gearshift system with auto-blipper. The dash was upgraded to the AIM MXL2 multifunction LCD dashboard and data logger which is more capable than the MXL in the SR3RS. There is also a new center seating option that positions the driver in the center of the chassis. In 2015 Radical introduced their third generation of the Powertec Suzuki Hayabusa engines. These engines were a modified version of the K8 Hayabusa engine like in the SR3 RS, but the 1500cc version had the piston stroke reduced and are known as “Short stroke” engines. The shorter stroke was intended to have reduced operating cost and more mid-range power and torque. The new engines had larger-diameter stainless steel tubular exhaust manifolds, bigger 45mm individual throttle body induction, and a redesigned airbox. However, the powerband of the new short stroke engine proved to be less competitive compared with the previous engines on many popular tracks, so in 2017 the engines went back to their original stroke dimensions. The short stroke engines can be identified by their red air boxes and an “SS” designation in the Engine serial number. Because of the switch back to the original stroke, many of the Short Stroke engines have been removed from service and were replaced by the fourth generation Powertec Suzuki engines. The Fourth Generation 1500cc engines are essentially the generation 2 engines with the added benefits of the larger fuel injector bodies and larger exhaust. You can read more about the SR3 RSX in this link to the 2018 sales brochure and Order sheet. The SR3 RSX front end has been restyled and now incorporates optional LED lighting. The RSX Front splitter / diffuser features a “double-tunnel” profile from leading edge to the rear where it integrates into the wheel arch leading edges for improved airflow. The back of the car has a recontoured diffuser to reduce drag, and now has LED tail lights and larger diameter exhaust. Aim MXL 2 Dash has improved resolution compared to the Pista dash and has the added ability to show the track map on the dash. The Standard seating configuration is available in Right hand or Left hand drive. Now you should have enough information to make an informed purchase. It is important to remember that ALL SR3s provide an amazing amount of performance and a track experience that causes smiles that are very hard to remove. So get the car that fits your needs, goals, and budget the best. 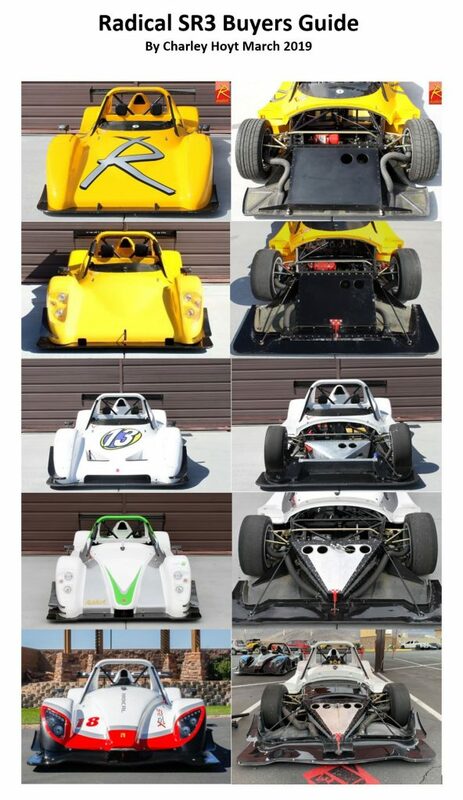 If you have more questions about these amazing cars spend some time on the Radical Forum (https://radicalsportscarregistry.com/radicalforum/) where you can get answers from a Worldwide community of Radical enthusiasts.